This is for the man who has everything, except one of these. The Flying Saucer is a Timmy Patterson original design that he has kept underground for over 25 years. Christian Fletcher has been testing this design since the early 90s and has been seen doing crazy stuff on it. This unique design is used for those small weak days when you need something to give you that extra push and maneuverability. 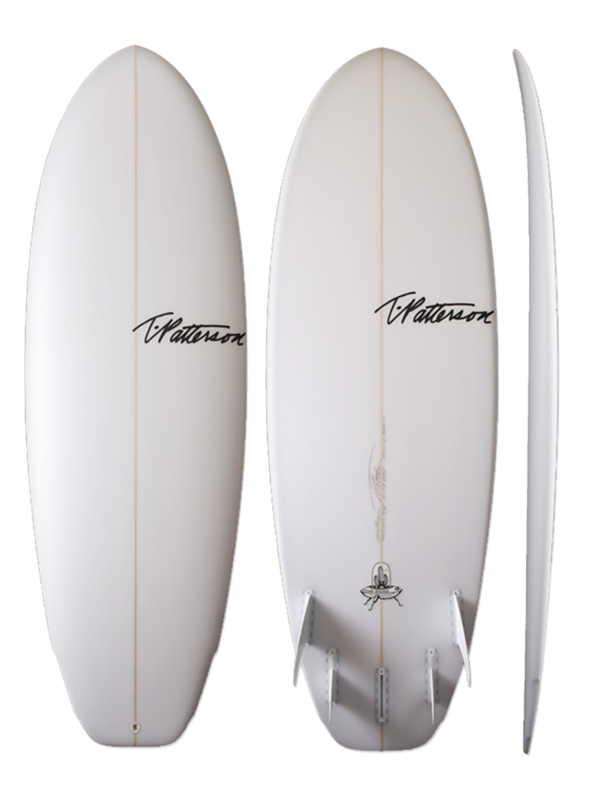 The Flying Saucer should be ridden 3-6 smaller than your standard shortboard. Just as name implies, it has an extremely fuller and wider outline complemented with a flat deck and full rails. We kept lots of volume and width in the nose and tail to ensure optimal floatation. To make sure this thing really does fly, the Flying Saucer has low entry rocker and low flip in the tail along with single to double concave and vee off the tail. The Flying Saucer works out of this world as a twin fin, twin fin with small trailer fin or quad. Note, the Flying Saucer is only available with a double wing wide squash.